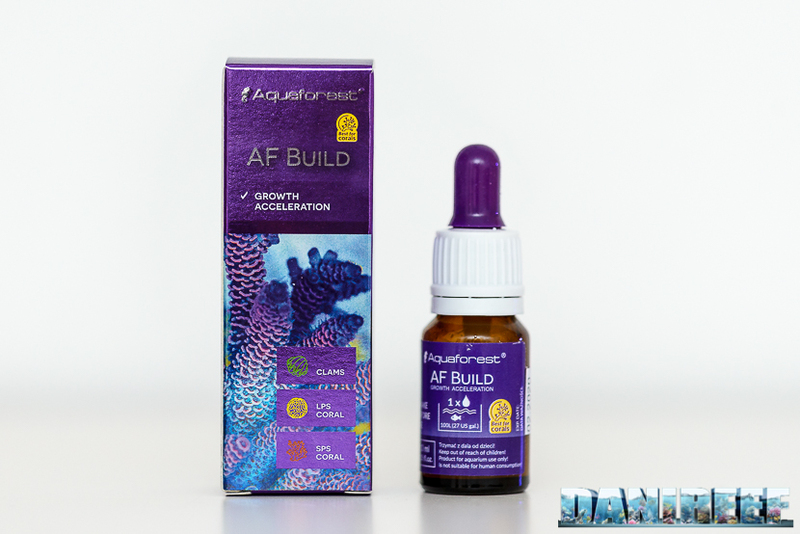 AF Energy and AF Build are two new products from the AquaForest line focused on corals’ growth and feeding. Both of them have a very specific function, and are intended to work together. 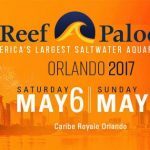 It’s recommended to use the two products simultaneously in the marine aquarium, even if you prefer amino acids from other brands. 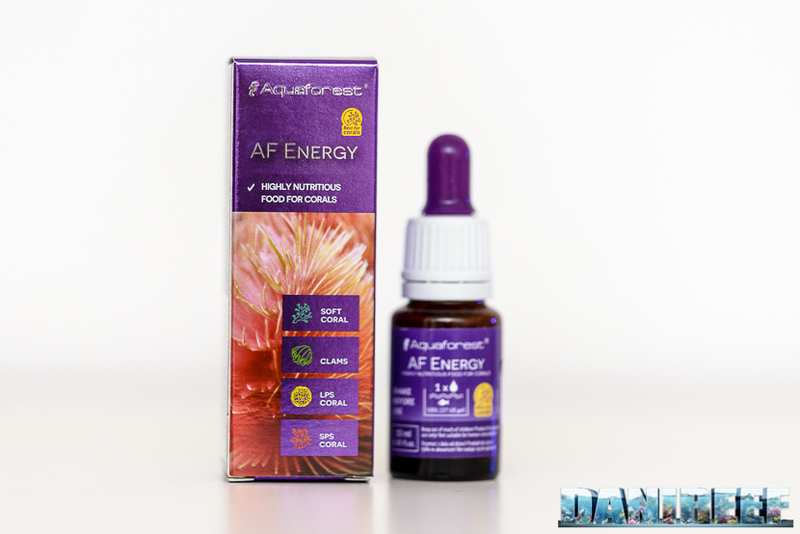 AF Energy, as suggested by the name, is meant to accelerate corals’ growth. 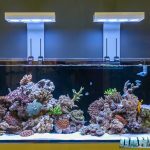 They can be either soft corals, LPS, or SPS. It’s also good for Tridacna clams. 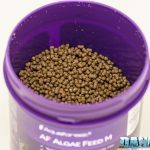 As you can see in the pictures the product is a liquid in order to be dosed in aquariums more easily. 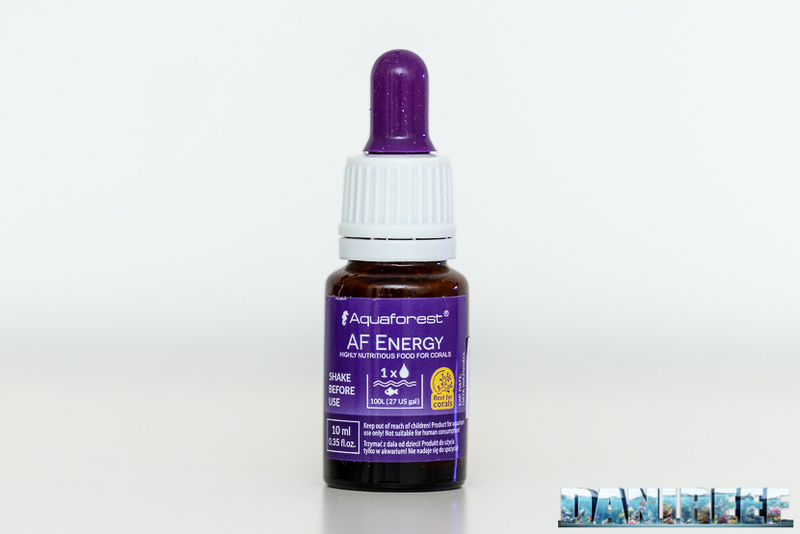 Due to its liquid form, AF Energy has to be shaken before use. The administration is extremely easy: 1 drop for every 100 liters of aquarium every day with the lights off. 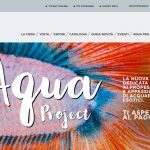 We always repeat, as does AquaForest, that this is an approximate indication, and it depends on the type and the concentration of corals in aquarium, and on the lighting and filtration, because which may lead us to increase or decrease the dosage. It’s suggested to start with 1/4 of a dose and then double up the dose the following week. 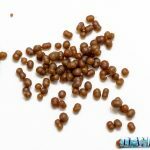 The product mainly contains zooplankton, amino acids, vitamins, and sugars. 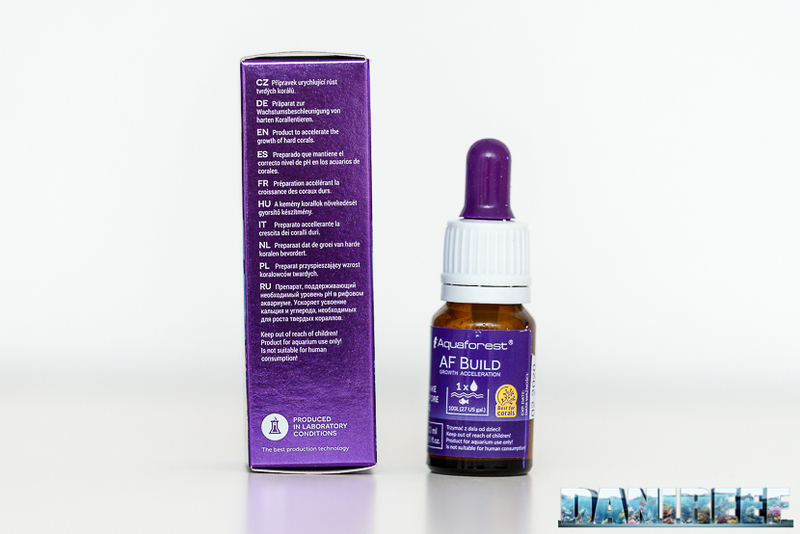 An important part of its formulation is the strong presence of fatty acids, like Omega 3 and Omega 6. This specific mix reduces the production of zooxanthellae and helps the formation of pastel colors, especially in SPS corals. The product, in the 10 ml package, costs 7,30 euro ($8.80 USD), while the 50 ml package costs 19,90 euro ($24 USD). The price for 100 ml tends strongly towards the 50 ml package, with 38,80 euro/100 ml versus 73 euro/100 ml, making it more affordable. We’ve dosed it for few weeks, but it’s too early for a review. For now the corals are reacting well.